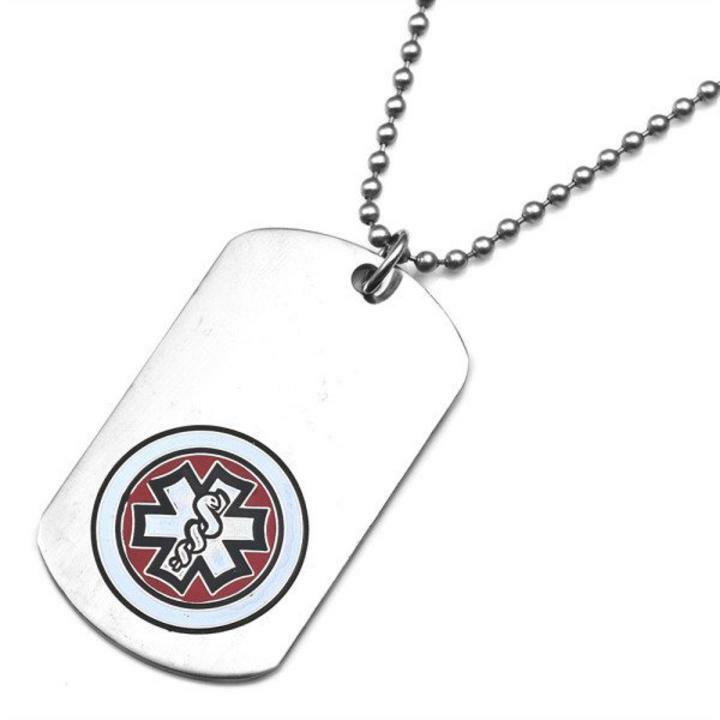 Our heavy duty large stainless steel medical id alert dog tag necklace is perfect for men and women too! This is engraved with black laser engraving into the metal, measures 1 1/8 x 2" comes with free engraving with up to 7 lines on the front and 8 on the back. 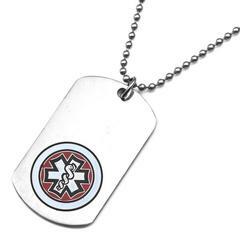 Medical emblem is available in red or blue, and comes with your choice of stainless bead chain or chain link. This is one of our best sellers because of the amount of engraving!